Darla Moon, former chief financial officer of global mission support services contractor Patriot Group, has been appointed to the same position at Systems Planning and Analysis. She brings two decades of finance, mergers and acquisitions, finance and strategic planning and execution experience to SPA, the company said Monday. 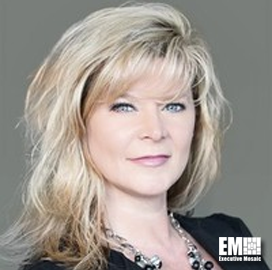 Before Patriot Group, she worked as senior vice president for business operations at ManTech International (Nasdaq: MANT) and as director of business management at Northrop Grumman (NYSE: NOC). Moon is a member of the National Association of Professional Women and received the Professional Women of the Year award for 2012. She holds a bachelor’s degree in business economics from University of California.